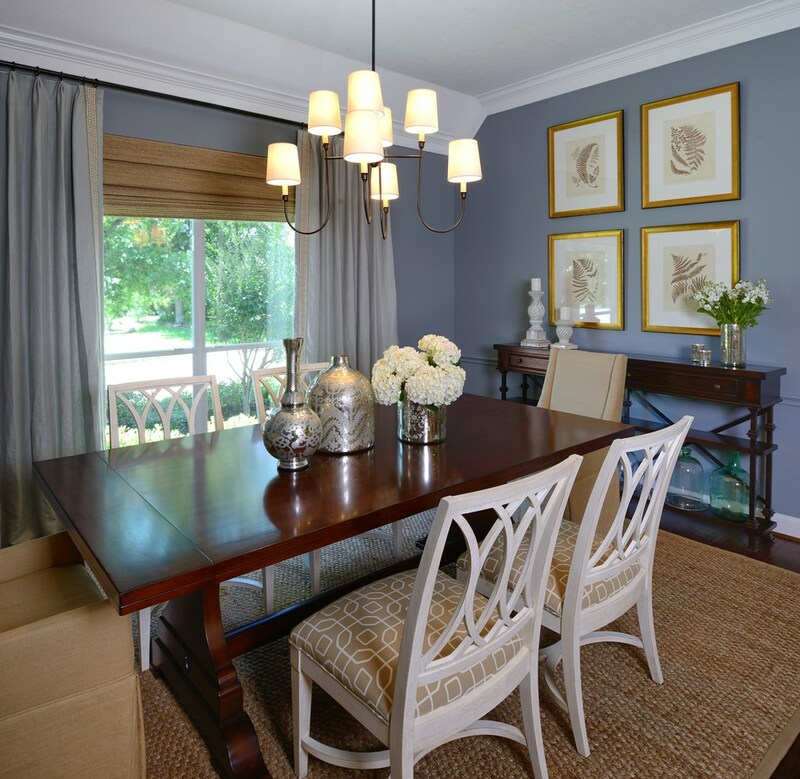 “The biggest way to make the most impact in a room is to change the paint color”…they say. And it’s true. But what happens if the color selected doesn’t turn out the way you imagined? There are a lot of factors to consider before deciding on a paint color, and any paint store that’s worth their weight in paint cans should always tell you to take the paint chips home, put them up on the wall, and view them for at least 24 hours. If you are more ambitious, then purchase the sample pots or the larger swatches and get an even better idea…but regardless, you can’t properly determine the best color for you unless you see it in the space and view it with different types of lighting and at different times of the day. 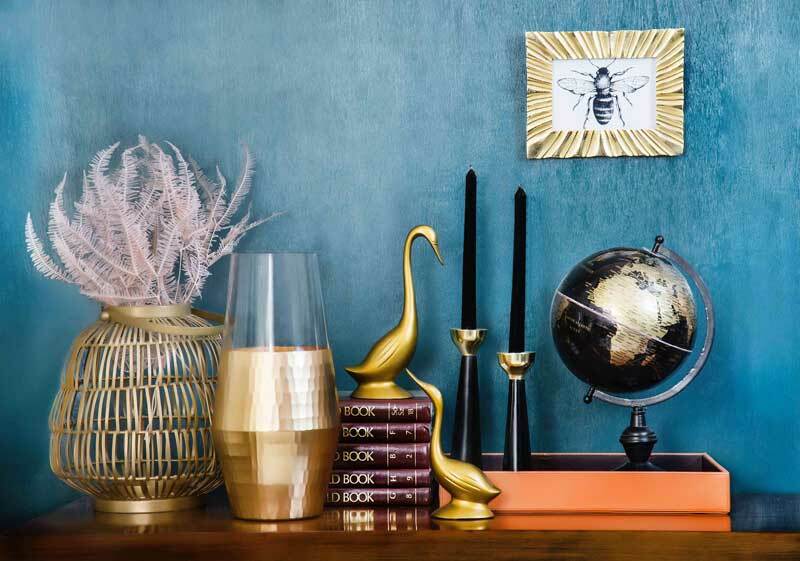 …there are certain colors that I have found that in ALMOST any setting they turn out exactly as I had imagined and were the perfect choices for their respective rooms! 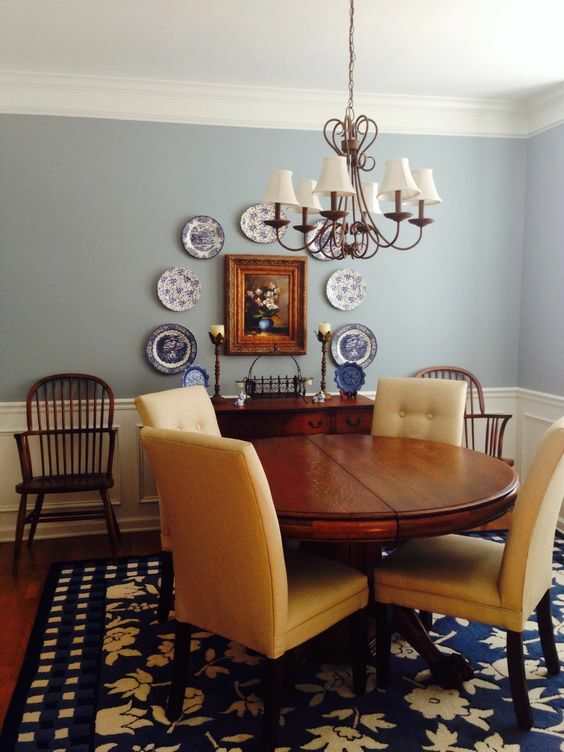 Here I will share with you my five go-to blue paint colors (all from Benjamin Moore) and the one that has disappointed me not just once, but twice! 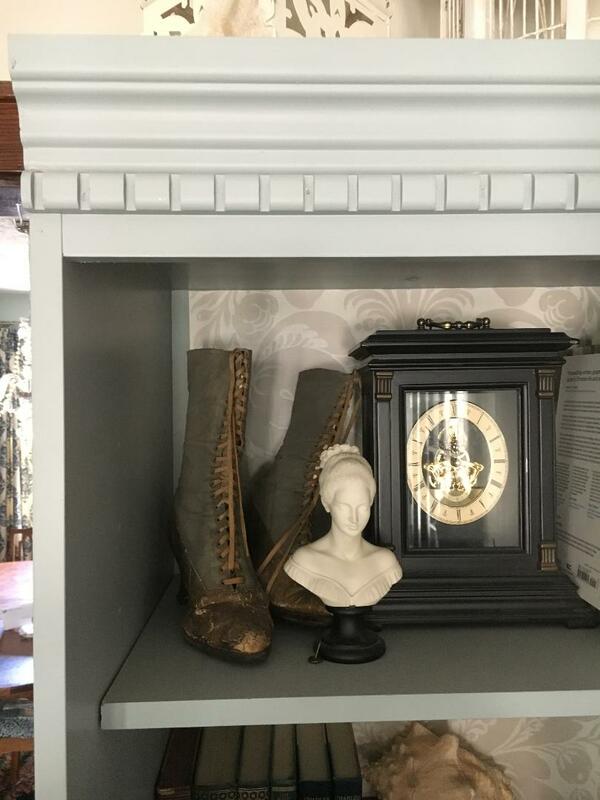 I have used this color over and over and even though it is listed as a gray color, and looks very gray on the paint deck, it actually has a very blue undertone that you cannot miss! I have used this in my own bedroom, in laundry rooms, in a kitchen back splash, and even to paint furniture. It turned out perfect every single time!! 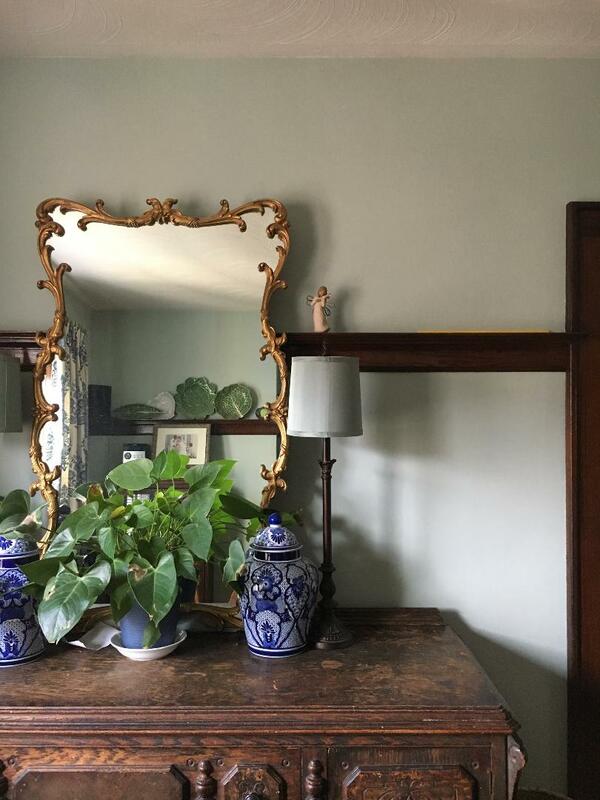 This aqua-like hue is the color I have chosen for my dining room and pairs wonderfully with all the wood trim I have (and there is a lot in there!). It isn’t too washed out, or too bright or too gray or too green…it’s just right to make the somewhat dark space seem light and fresh. This color would also look amazing with white trim, perhaps in a foyer or powder room, or a space that doesn’t get a lot of direct sunshine. It’s calm, and in the right setting could even be spa like…ahhhh…peaceful and relaxing is a good feeling to have at home! This deeper shade similar to Palladian Blue is one I have always admired. I had wanted to paint my first apartment in this color but sadly, the landlord didn’t do an exact color match (much to my disdain)! I have used it in two client’s bedrooms and both times it was just the right amount of color…not too soft but not too dark either! 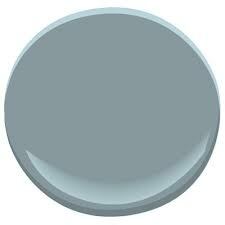 This is my most recent addition to this list and it is the color I recently painted my master Bedroom. 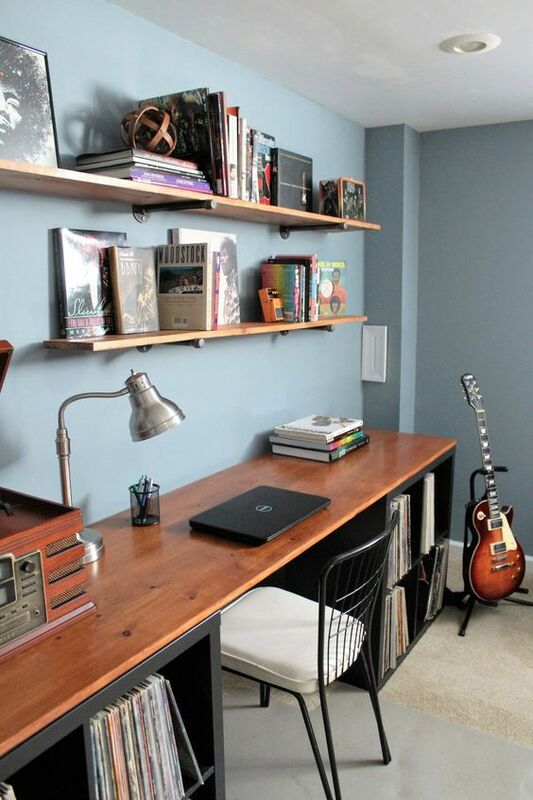 I had also previously used it in an office space that had white wainscoting and it looked spectacular! We have always preferred a darker bedroom and this still has enough blue in it to add some life and not make it seem like a dark cave. My husband instantly loved it (win! win!) and so do I! This deeper blue would look amazing in a library, home office, or any space that you want to make cozy and inviting. It complements deeper wood tones wonderfully, but also pops with contrast when paired with white. This color has a bit more blue in it than the Brewster Gray, so if the previous choice was to dark for you then this blue could be a perfect substitute! 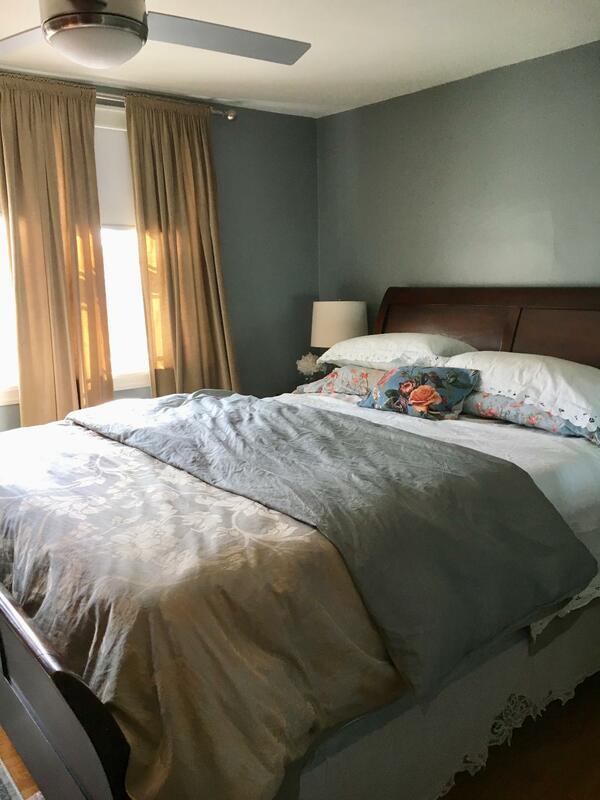 The first time I used this color for was a client’s master bedroom that was flooded with light; they wanted to create a space that was more intimate, and this color won out over all the other options (some of the above colors, no less!). The one color that has disappointed me on two occasions was Van Courtland Blue. 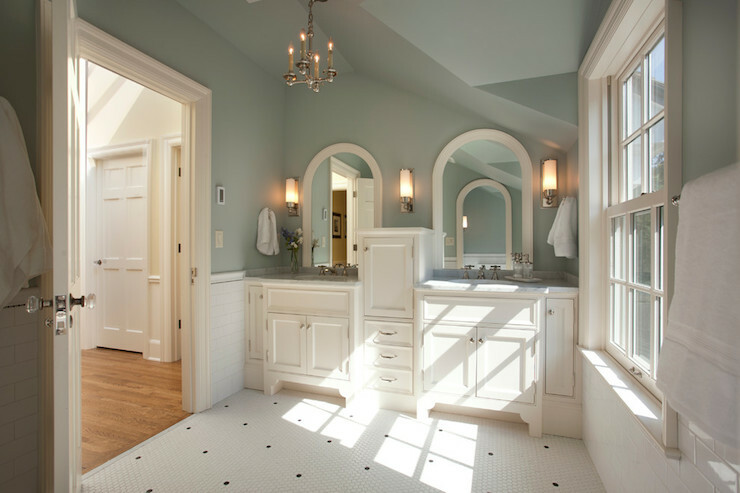 On the chip is looks like the perfect mix of blue and gray, but when it goes up in the room—especially a well-lit room—the color goes decidedly blue, and I didn’t like it! 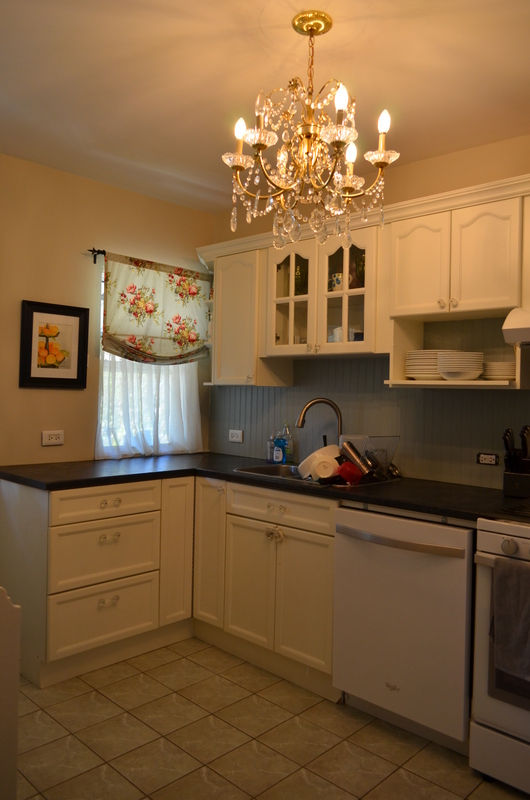 Thankfully the clients liked the brightness it brought to the space, but to me I wished we could have repainted. (I couldn’t even find the original pictures….I probably deleted them!) I also used it as a front door color on a home that had brick in a gold-ish hue. Again, the color just fell flat and didn’t add the contrast that I had hoped it would. Again, the clients thought it looked great, but with a trained eye I could see that it wasn’t just right…and we always aim for perfection! So, the moral of the story here is that you can’t go just one the word of one person but MUST seek out that in-the-room confirmation that this is the right color for the job! One trick that I have used over and over is to google the color and see the images of that room that come up…it can give you a really good idea if you will like the finished product—or not! 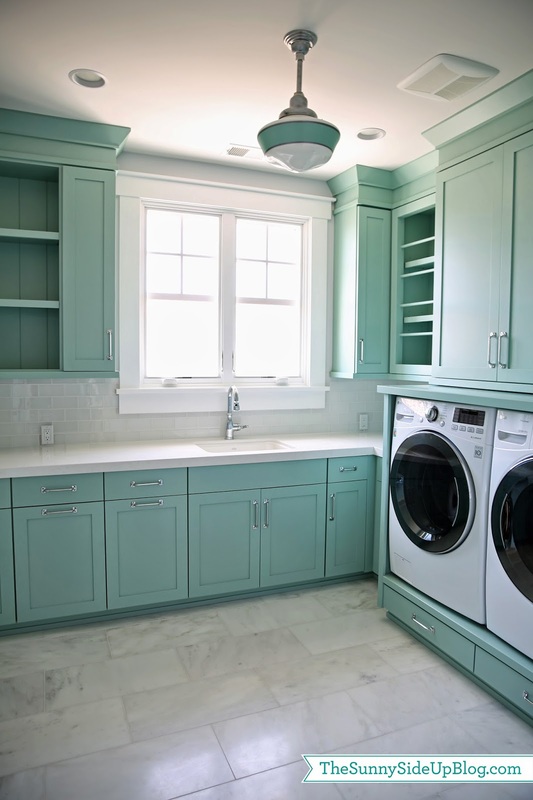 Do we make mistakes…yes, we all do…but at the least I hope I have helped you narrow down your options and make choosing the blue color of your next project a little easier!